Forest Whitaker reigns supreme over the flawed The Last King of Scotland. Throughout his career, Forest Whitaker has always been the nice guy. Despite his large frame, he’s never cut much of a threatening figure on the screen, with his droopy eyes, round face, ready smile, and paunchy physique. African-American actors of his size are often saddled with gangsta or bodyguard roles. Whitaker has instead made his name playing tragic victims (Bird), jovial sidekicks (Good Morning, Vietnam), and well-meaning cops (Phone Booth). He has played the occasional killer (Panic Room, Ghost Dog: Way of the Samurai), but even those roles had a core of decency and honor to them. 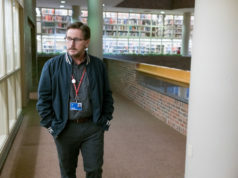 The movies he has made as a director (Waiting to Exhale, First Daughter) have been pleasant and unmemorable, which probably means that his well-mannered screen persona reflects who he is deep down. Yet last year, the 45-year-old Longview native finally got around to indulging his dark side, coming unforgettably unhinged as a crusading internal affairs cop in an episode of The Shield. 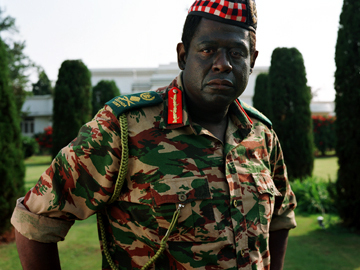 He goes even further in The Last King of Scotland, the title of which refers to Idi Amin. The real-life Ugandan dictator identified with the Scots because of their country’s history of rebellion against the English, who had been Uganda’s colonial rulers. Whitaker plays Amin, and rocks the role from the moment he shows up on screen making a triumphant appearance before a cheering crowd. 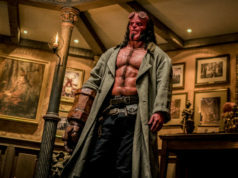 His appropriately oversized, ripped-from-the-guts performance is the biggest and perhaps only reason to see the film. Whitaker so dominates the proceedings that he won the Golden Globe for Best Actor and will probably get an Oscar nod for the same category when in fact his role here is only a supporting one. The actual main character is Nicholas Garrigan (James McAvoy), a Scottish doctor who comes to Uganda in 1970, ostensibly for humanitarian purposes but mostly to escape the shadow of his overbearing dad. He arrives just in time for Amin’s coup against the sitting president. Shortly afterward, he meets the new leader on a country road, after Amin has hurt his hand in a car accident. The general is impressed enough with Nicholas’ treatment of his injury to offer him a job as his personal physician. The young Scot falls under Amin’s spell, seduced by the man’s charisma and the prospect of reforming Uganda’s health care system, not to mention the idea of sleeping in a luxurious palace in the capital rather than on the floor of a dusty shack in the countryside. However, no amount of creature comforts can blind him to the havoc and bloodshed engulfing the country. The feminine-looking McAvoy (who portrayed the faun in The Chronicles of Narnia) is in almost every scene and nicely conveys his character’s concern over the increasing depredations of Amin’s regime. Even so, the actor’s operating under a considerable handicap. Simply, too much stuff happens to Nicholas. No surprise there: The movie’s based on a novel by Giles Foden, which divides its storylines among several different characters. The filmmakers concentrate them all in one, and it proves to be a serious error. Nicholas’ flirtation with a colleague’s wife (Gillian Anderson) is merely abortive, but when he begins an affair with Amin’s third wife (Kerry Washington) late in the film, it seems crazily suicidal given what he’s already seen of the dictator’s murderous tendencies. These plot developments are merely regrettable when they might have been laughable, and for that we should thank Kevin Macdonald, the Scottish documentarian (Touching the Void) who here directs his first fiction film. His debut effort is crisp and self-assured, and he does a decent job of moving from well-lit, well-ordered visuals in the early parts of the film to increasing darkness and disorder late, capturing the growing chaos in Uganda. He also doesn’t hold back on the gruesome violence done to Amin’s victims, especially near the end when Nicholas definitively gets on the dictator’s bad side and becomes intimately acquainted with a pair of meat hooks. You see similar stuff in those awful Saw movies. It’s much more powerful here. Make no mistake, though, this film is still fairly slight, with its hackneyed message about the perils of the white man’s attempts to meddle in Africa. The Last King of Scotland would blow away in a stiff breeze if Whitaker weren’t such a force of nature, capturing the dictator in all his clownishness, theatricality, and bullying bonhomie. Even in the early scenes, when Amin isn’t yet a mass murderer, you can see the belittling edge in his humor and the megalomania that will warp his sense of reality. Addressing some captured rebels loyal to the deposed president, Amin’s eyes go wide with betrayal as he childishly blubbers, “You want to kill me for that drunk, silly man?” Later on, those same eyes go dead as the bodies pile up and the delusions of grandeur take over his mind while he fends off the world’s opinion. The movie’s Idi Amin doesn’t have far to fall in order to become a monster, but Whitaker’s portrait makes his descent compelling all the same. Starring Forest Whitaker and James McAvoy. Directed by Kevin Macdonald. Written by Jeremy Brock, based on Giles Foden’s novel. Rated R.